Includes 1 tire sensor and cap. For the 2005-2007 EXPORT WH Grand Cherokee. 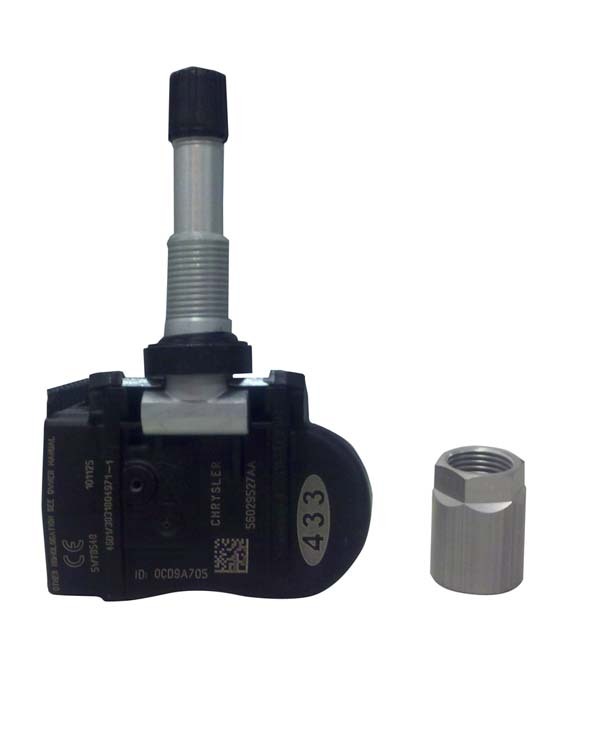 Tire Pressure Monitor Sensors are sold individually. This sensor really fits to 3.0 European Grand Cherokee! On all of 4 wheels it is recognizing by system automatically, on spare wheel need to type ID number on diagnostic scanner.